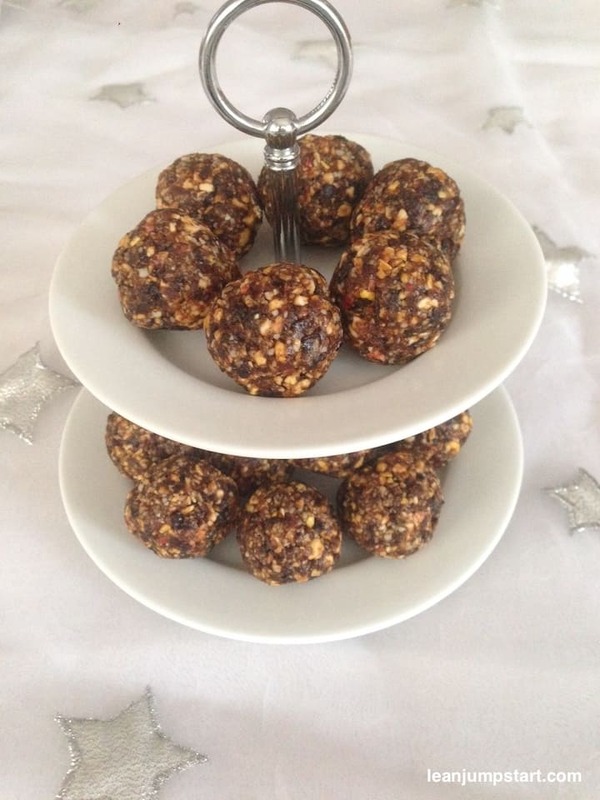 Today I proudly present my first healthy energy balls recipe on leanjumpstart.com. This is the best fiber-rich snack idea for a long vacation or business trip. As prunes are one of my favorite dried fruits (I see you giggling), they play the main role in these fabulous clean eating snacks. I add a bit of cinnamon to the mix which gives these power bites a pleasant warm winter taste. They are especially known in raw food and vegan circles and have been around for quite a few years. In fact you’ll find thousands of energy ball recipes on the web and that is wonderful. Still I ask myself, did they hide under a rock or where have they been all my life? These little treats can’t gain enough spotlight, as they are quick and super easy to prepare, full of valuable nutrients, filling, affordable and so yummy. We love them and so far we don’t know anybody who doesn’t like them when introduced to these yummy high-fiber snacks. Most people probably subconsciously think of their bowels when they hear prunes;) And talking about bowels, if weight management is an issue for you, make sure to read until the end of this blog post. This snack recipe proves again how delicious clean eating can really be. Let’s jump right into the healthy snack recipe that needs just 4 very whole ingredients: Prunes, dried apples, almonds, and cinnamon. That’s it. Blend all ingredients together in a food processor until a sticky mix form. You can eat them straight away. They’re even tastier when they’ve set a little in the refrigerator, so try to give them around 30 minutes before snacking. I usually freeze a big bunch of them in an appropriate glass container. You can store them up to 3 months in your freezer and the best part of it – defrosting is super quick. I can eat them straight from the freezer, yes even in winter time;) In general they thaw at room temperature within 15 minutes. Dried plums (prunes) are an excellent source of dietary fiber which can help reduce high blood cholesterol and prevent constipation. 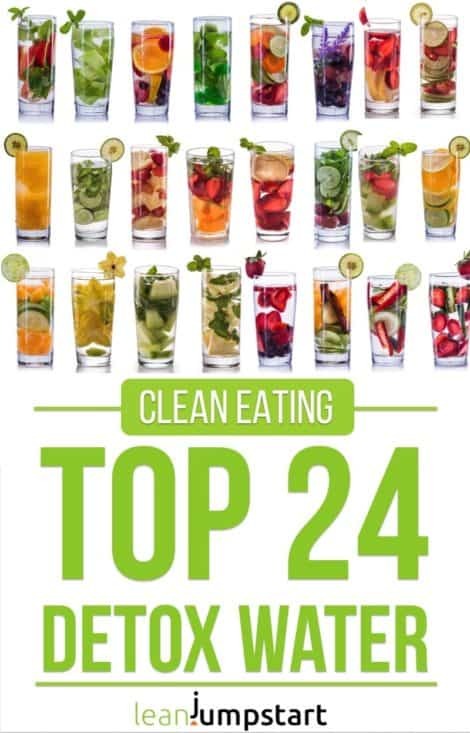 For more fiber-rich foods check out my top 100 list of high fiber foods. As prunes have such high nutritional values, you can snack just one piece and still gain significant nutrients. So if you are watching your weight I recommend a mindful snacking approach. But if you are planning a workout one hour later, then these energy bites are a powerful pre-workout snack. You can imagine that these energy bites with prunes are also a perfect snack on a long vacation or business trip to prevent the annoying and all-too-common travel constipation. Instead of regular prunes I’m now taking with us a bunch of no bake bites with prunes on our 8 hour car ride to my dad. I highly encourage you to make them part of your next travel survival pack. 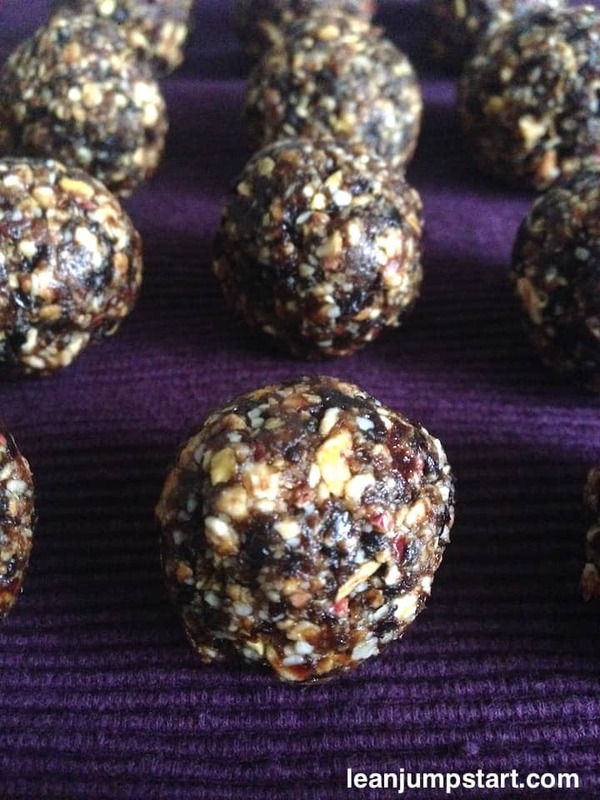 This was my first energy bites recipe for you. I’m so thrilled with this simple and quick gluten free snack that you can expect more recipes to come in 2018. 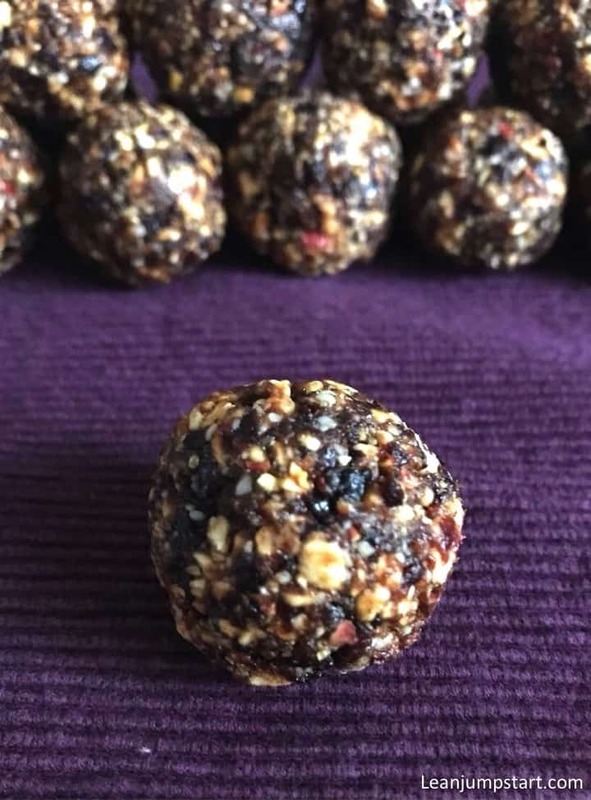 You can look forward to ideas with dried apricots, cranberries, dates, nut butter, protein powder, flax seeds, chia seeds, rolled oats, vanilla extract etc.